Diversifying your financial portfolio so that a percentage of your assets are completely protected from market volatility and potential loss. A percentage of your finances allocated for growth potential to keep up with inflation rates. 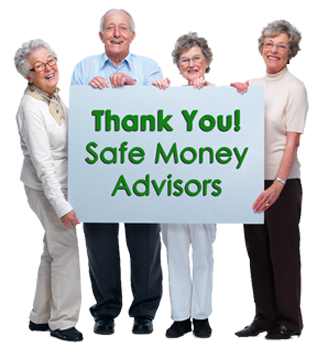 Underlying guaranteed retirement income that will satisfy your lifestyle throughout your retirement years before risking your hard earned dollars. with any questions, comments or concerns.